… is a full service graphic & web design studio in Evansville, Indiana started by graphic artist & web designer, Ryan Wagner. We offer most print design services as well as responsive website design in addition to services like domain registration & hosting, logo & identity assistance, and business card design & printing – all available from the visualrush.com website. VisualRush is a strategic and powerful tool for brand building, and adding recognizable style to your business, both online & off. For less than the cost of a full-page newspaper ad, you can have a quality website that speaks volumes about your company and stays up long after the printed paper has been recycled. Coupled with a print, radio, or tv campaign, a website can multiply effectiveness and keep your product or service on the minds of your customers, long after the campaign is over. Ryan Wagner is the owner & creative director of VisualRush website & design solutions, a graphics & web design studio located in Evansville & Newburgh, Indiana. Beginning with his degree in Advertising & Graphic Design, over the years he has gained diverse graphic experience in web site development & design as well as newspaper print advertising, magazine publications, logo design, billboards and identity branding. His strength lies in keeping his clients focused in maintaining their brand integrity. Saving money and time by being consistent with your logo and branding across all your marketing efforts. After working in the corporate world, Ryan realized his potential as a freelancer and struck out on his own. Now owner of a successful website design studio – Ryan pours every ounce of his creative energy into VisualRush where he helps clients promote their services all over the world. 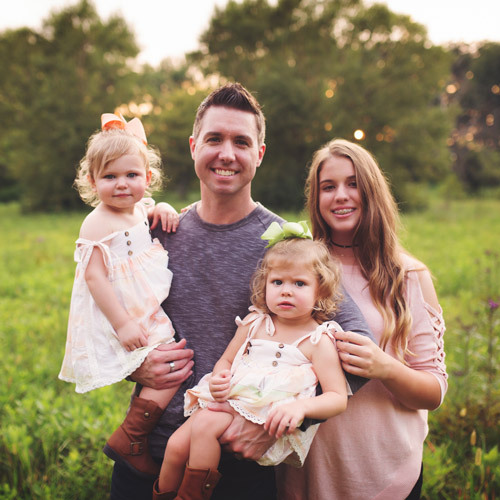 Ryan resides in the quiet southern city of Newburgh, Indiana with his three beautiful daughters. Get Started with VisualRush today!